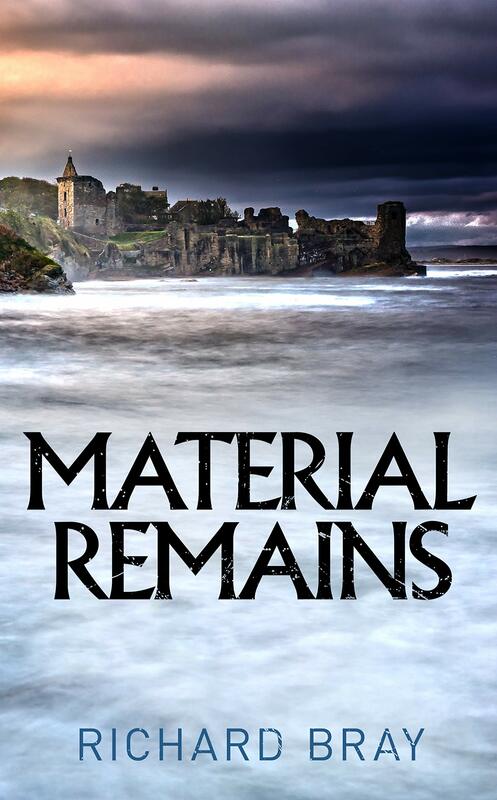 Student lives, serious archaeology, and an early death; there is much happening in the University town of St.Andrews as Mike experiences so many emotions in the course of this interesting book. This contemporary novel is not a murder mystery, despite the appearance of a body quite early in the book. It is a novel which also looks carefully at the way that the past can be reconstructed or at least visualised from the remains of the people and buildings that surround the characters. There is a phenomenal amount of alcohol consumed in this book, and much is made of the banter and relationships between students. I found it a fascinating insight into what happens in the case of a death when the emphasis is not on detection and punishment, a subject not covered so much in contemporary fiction. I was grateful for the opportunity to read and review a copy of this impressive novel. This book takes place in 1995, when students still depended heavily on textbooks and submitting their work on paper. Mike is an older undergraduate who is applying for extra study with the eccentric Dr. Reed, a passionate lecturer keen to take any opportunity to study the local sites of plague burial. The book opens with Mike meeting up with several friends and acquaintances in a local student pub. This book is full of the strange humour and obsessions of students in the 1990s, and there are significant sequences of dialogue which are genuinely funny. It soon emerges that Harry is not only a flatmate of Mike’s but an important friend, together with his girlfriend Fiona. As conversations are continually shaped by the amount of alcohol consumed, there seems little importance to Mike’s encounter with the enigmatic Charlie, or Charlotte. It is only forty eight hours later that the significance of their meeting becomes clear, as Mike realises that things will never be the same again. As he becomes involved in a dig which causes some controversy, Mike is literally surrounded by the evidence of death in many forms. This is in direct contrast with the student parties and gatherings which are dominated by alcohol, even though Mike himself seems to retain a certain innocence. He becomes more confused and bewildered by the priorities of study, making discoveries on the site of a supposed burial, and the continual remembrance of a death without resolution. This is an intelligent book which deals thoughtfully with the effects of youthful unresolved death. Bray writes convincing dialogue which is consistent with students who are good natured and affected by a young woman’s death at varying levels. I enjoyed the conversations and detail which described the experiences and place so well. I found this a compelling read, not in terms of a whodunnit but the actions of those who are bereaved. The community of St. Andrews is thoughtfully described, and I was especially interested in the idea of reconstructing buildings such as the Cathedral visually. Altogether this is an unusual book which deals closely with a closed community rocked by an event they cannot quite comprehend. It is far from the usual crime novel, and is a convincing portrait of an individual coming to terms with life and death in a setting defined by the past. We have just seen the film “All is True”, about the later life of William Shakespeare. It is lovely film, with beautiful photography and a brilliant script. The acting, right through to the minor characters, was superb. While I love any films about Shakespeare, as well as good adaptations of the plays, this was a well judged biography showing that even the greatest writer was sometimes rendered speechless. Well worth venturing to the cinema to enjoy. Oh this does sound interesting, esp as I was a student in 1989-92 and again in 95-96!